The genus Sida with about 90 species is distributed widely in the temperate zone in the whole world. Sida szechuensis, which is a perennial, half-shrub found throughout the highland of southwestern China and abundant in resources, i s one of species of Malvaceae. It is used in Chinese traditional medicine for ul cers, furuncle, dysentery and blood stasis through ethnopharmacological explorat ion. Modern pharmacological experiments show that it can inhibit platelet aggreg ation (Xiao et al, 1997). However, to our knowledge, the study on the chemic al constituents of this plant has not been reported as yet. In the course of our search for bioactive natural products, three phytoecdysones, (-ecdysone(1), (-e cdysone (2) and polypodine B (3) were isolated and identified from this herb. In the course of a screening for inhibitors of PAI - 1 from natural products with small molecular weight, preliminay "hits" were found from several natural products. Further investigation and selectivity experiments indicated that compound 1 (expoxyrolin B), compound 4 (cherimolin - 2) and compound 6 (damnacanthal) showed some inhibition on plasmin; compound 2 (muricatin C) showed week specific PAI - 1 inhibition activity. Compound 5 (morindone) inhibited thrombin, trypsin and plasmin, compound 7 (16a - hydroxy - cleroda - 4 (18),13 (14) Z-dien-15, 16-olide), compound 8 (hedergenin) and compound 9 (ocetadecanoic acid - 9 - yne) inhibited thrombin and plasmin. This report deals with the re-sults of the effect of several natural products on the fibrinolytic system. From the alcoholic extract of stem bark of Polygala arillata, fifteen compounds including the derivatives of oligosaccharide esters, xanthones, lignans, phenols and aliphatic acids were isolated. Among them, seven new compounds were named as arillanin A (3), B(6), C(7), D(4), E(5), F(8) and G (11), respectively; methyl 1-0-α-L- arabinopyranosyi (6→ 1 ) - β - D - glucopyranosyi salicylate (9) as a new salicylic acid derivative, also first isolated from plants. All structures of isolated compounds were i-dentified by means of spectral data, especially 2 - D NMR experiments. Five new flavonoid glycosides named as amoenins A - E together with eight known compounds di-hydrobaicalin, chrysin -8-C-β-D- glucopyranoside, chrysin 6-C-β-D- glucopyranosyi - 8 - C -α- L- arabinopyranoside, (trans)-5, 7, 2', 6' - tetrahydroxyflavanonol, 5, 7, 2', 6'-tetra-hy-droxyflavanone, dibutyl phthalate, P- sitosterol and daucosterol, were isolated from the roots of Scutellaria amoena C. H. Wright. The structures of new glycosides were elucidated as 2', 4', 6' - trihydroxydihy-drochalcone 4'- [0-β-D-glalactopyranosyi (l→ 2 )]- 0- β- D- glucopyranoside, 5, 7, 2'- tri-hydroxy - 6 - methoxyflavanone 7-0-β-D- glucuronopyranoside, ( cis ) - 2', 5, 7 - trihydroxyfla-vanonol 3-0-β-D- glucopyranoside, (trans) - 2', 6', 5, 7 - tetrahydroxyflavanonol 3 - 0 - β - D - glucopyranoside and ( cis) - 2', 6', 5, 7 - tetrahydroxyflavanonol 3-0-β-D- glucopyrano - side by based on spectral analysis, respectively. The seasonal changes of the ray and phloem parenchyma cells of secondary phloem in terminal branchlets of Dalbergia odorifera T. Chen (Papilionaceae), a tropical deciduous tree, were studied by using transmission electron microscopy. The changes were mainly the cyclic alternation of accumulation and ex-haustion of the storage materials including proteins in the central vacuole, the starch grains, lipoid globules and phytoferritin in the plastids, and lipoids in the spherosomes. D. odorifera did not undergo some of the cytological changes which were found in the temperate trees studied and believed to be related with the hardi-ness. Like the stuctures found in temperate trees, in D. odorifera the highly folded plasmalemma and nu-merous small vesicles pinched of by the plasmalemma appeared in the actively reserve - accumulating cells during the leaf- fall period. It was suggested that the structures play a role in translocation of the materials between the cells, while in the temperat trees the structures were considered involving in frost resistance. Effects of UV-B radiation (7.2 and 14.4 kJ d-1 m-2) on seedling growth of several woody species in the Southern subtropical forest in Guangdong Province were investigated. The species studied are: Psychotria rubra (Lour.) Poir., Schefflera octophyHa (Lour.) Harms, PitheceHobium clypearia Benth. , Pterospemwm heterophyllum Hance, Sapium discolor Muell. - Arg. and Albizzia lebbeck (L.) Benth. The results demonstrated that the content of photosynthetic pigments of the UV - B treated seedlings was lower than that of the control seedlings. The effect was more significant on content of chlorophylls than that of carotenoids. UV- B radiation markedly lowered net photosynthetic rate, and reduced stomatal conductance and transpiration rate of the seedlings. It also reduced accumulation of dry matter of the seedlings and inhib-ited the formation of root nodules of Albizzia lebbeck seedlings. The symptoms of the young leaves and ultrastructural changes of mesophyll cells of Brasenia schreberis winter buds when induced by poisoning of Hg^2+ pollution are reported in this paper. When winter buds were treated with a concentration of Hg 2+ in 5mg/L solution within 15 days, the leaves gradually lost their green color; glandular hairs contracted and twisted and mucilagenous material of the leaves was greatly reduced. The ultrastructural changes of the mesophyll cell showed the disappearance of Golgi apparatus and reduction of ribosomes with integration of mitochondria. Increasing of Hg2+ concentration on the same days of treatment as above, caused changes in the ultrastucture of the cells. It showed contraction of plasmalemma and snap of plasmodesmata, nucleolus broke into several parts, chloroplasts swelled and thylakoids disinte-grated. When winter buds were treated with concentration of Hg2+ increased to 15mg/L, the nucleus of cell broke down and cells died. According to our observation, the lethal concentration of Hg2+ to the winter bud of B. schreberi ranges from 2.5 to 5mg/L. Investigated in the present work was the karyomorphology of 6 populations of 4 species in Sinacalia and Parasencio. The interphase nuclei were categorized to be the complex chromocenter type, and the mitotic prophase chromosomes were classified as the imterstitial type in all 4 species. The karyotypes of 2 populations of Sinacalia tangutica were formulated as 2n=60=44m+16sm(4SAT) and =60=42m+18sm (2SAT)respectively. The karyotypes of 3 species of Parasencio were found to be; 2n=60=50+10sm for P.latipes, 2n=60=50m+10sm(2SAT)for P.roborowskii and 2n=60=44m+16sm (2SAT)and 2n=60=44m+16sm for 2 populations of P.deltophylla. All karyotypes were classified as the 2A type. Sinacalia and Parasenecio are distinctly distinguishable in the gross-morphology, but their karyotypes are similar to each other. When the embryo is proembryo in buckwheat ( Fagopyrum escidentum Moench. ), the endosperm is free nuclear. When the embryo is at late globular stage, the endosperm starts to cellularize. When the embryo is heart shaped, the "open cells" of the endosperm are formed in the middle part of the embryo sac. At the stage of torpedo shaped embryo, many layers of endosperm cells in the middle part of embryo sac can be observed. The embryo is at cotyledon - curved stage and the chalazal endosperm haustorium, a trans-fer cell, is formed. The initial anticlinal walls of endosperm come from the freely growing wall and from the cell plates. Niche breadths and overlaps of 8 dominant species of Lithocarpus xylocarpus community in Ailao mountain area were researched in the present paper, and the results indicated that the community is co -dominated by Lithocarpus xylocarpus, Castanopsis wattii, Schima noronhae, and Lithocarpus chintungensis. Their niche breadth values were 0.8732, 0.7856, 0.6742. and 0.5798. respectively. Species pairs which had more similar biological and ecological properties in the mean time possess bigger niche overlap value rel-atively. For example. " Lithocarpus xyhcarpus + Castanopsis wattii" and " Schima noronhae + Hartia sinensis". Also the importance and position of Schima noronhae in the community should not be overlooked. This proposition was deduced from the fact that it had the higher niche breadth value and showed the higher niche overlap value with most of the other tree species, L. chintungensis was in an opposite situation. It usually acted as the dominant species in some special microhabitat. We used a comparative approach and a numerical analysis to study the various calculating methods of niche breadth and overlap. 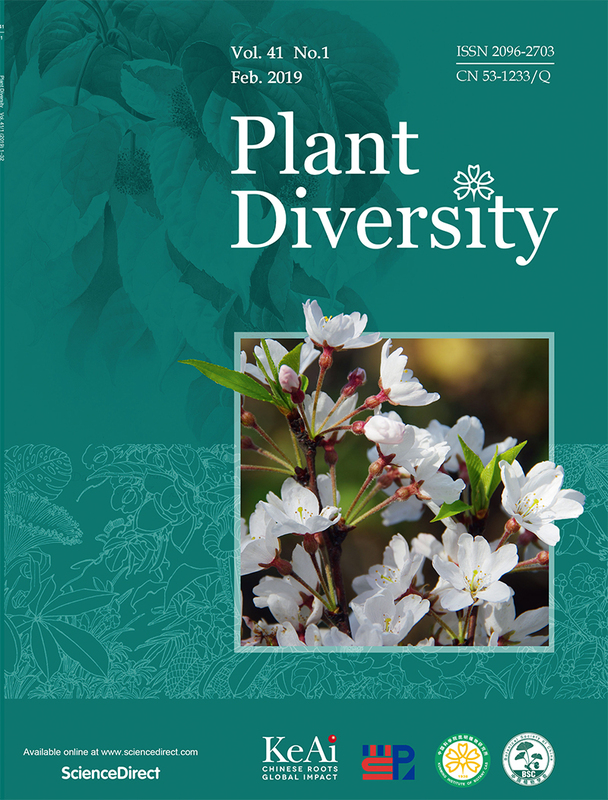 It should also be noted that stability of the plant community should be an important characteristic that is co - dominated by species with relatively high niche breadth means, and niche overlap exist in most species pairs of one com-munity ought to be a common characteristic of co - dominated communities. The mycorrhizal states of 256 species of pteridophytes which are naturally distributed in the tropi-cal and subtropical areas of Yunnan (Southwest China) were surveyed . It was found that the percentage of vesicular arbuscular mycotrophic associated with pteridophytes are lower than the angiospenns. The evolu-tionary trend offilicineae may be from rnvcotrophism to facultative mycotrophism, and at last to autotrophism. The differences and relationships between Paphiopedilum concolor (Lindl.) Pfitz., P. bellatulum (Rchb. f.) Stein and their allies are discussed; and three new taxa, P. wenshanense Z.J.L iu et J.Y.Zhang from Yunnan and P. concohr var. dahuaense Z.J.Iiu et J.Y.Z hang and P. concohr var. immaculatum Z.J.Uu et J.Y.Zhang from Guangxi, are described. A new genus Pleiosorbus Lihua Zhou et C.Y.Wu of Rosaceae and its only species P. megacar-pus lihua Zhou et C.Y.Wu from Xizang, China, are described in this paper. On the basis of morphological data analysis, the systematic relationship of this group is discussed. 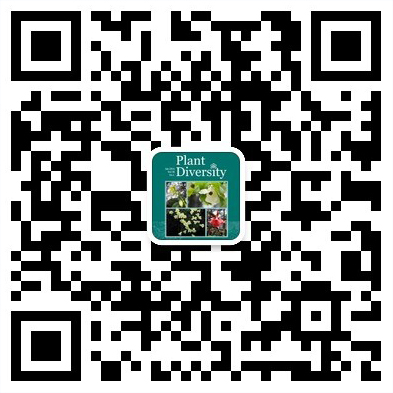 Select Taxonomic Studies on Cotoneaster dammeri (Rosaceae). On the basis of specimen observations, considering the data of SEM leaf epidermal micromophorl-ogy and cytology, a taxonomic revision on Cotoneaster dcanmeri Schneider was carried out. The results show that: 1. The name of C. dammeri var. radicans Schneider should be reduced to a synonym of C. dammeri Schneider. 2. A new subspecies, C. dammeri ssp. songmingensis C. Y. Wu & Lihua Zhou, is described. Mts. Altay of China is situated between 85 - 92°E longitude and 46 - 50°N latitude, It is also 450 km long and 80 - 150 km wide. Based on the classification and identification of the specimens that have been collected from mountain region and desert steppe regions of Mts. Altay (China) since the 1950s, four main conclusions were drawn (1) The flora of Mts. Altay is a part of the Forest Flora of Siberia. There are about 94 families, 528 genera, 1 491 species of spermatophytes plants; including 3 families, 6 genera, 15 species of gymnospermae; 91 families, 522 genera, 1 476 species of angiospermae; (2) According to the analysis of the areal - type in genera, the North Temperate areal - type is dominant. The followings are Old World Temperate areal - type, Meditenanea, West Asia to Central Asia areal - type, and Central Asia areal - type. Thus it is obvious that the flora of Mts. Altay is polytopic and temperate in nature; (3) By the analy-sis of life form and ecotype, the hemicryptophytes and mesophytes are absolutely predominant, which is con-sistent with the temperate nature; (3) The floristic elements of Mts. Altay are mainly from Boreal, Old Mediterranean and Autochotonous. Thirteen species of the genus Lactarius sold on rural markets in Yunnan Province, China are re-ported. They are L. camphoratus (Bull.) Fr., L. deliciosus (Fr.) S. F. Groay, L. deterrimus Grg-er, L. ecfunatus Thiers, L. gerardU Peck, L. glyciosmus (Fr.) Fr., L. hatsudake Tanaka, L. hy-grophoroides Berk. et Curt. , L. ponunsis Holland, L. sp., L. subzonarius Hongo, L. vellereus (Fr.) Fr. and L. volemus Fr., which can be divided into six sections according to Singer's system (1962). Their microscopic descriptions and necessary discussion are provided. L. echinatus is new to China. In particu-lar, ten species of Sect. Dapetes recorded in China, namely, L. akahatsu Tanaka, L. deliciosus, L. deterrimus, L. hatsudake, L. indigo (Schw.) Fr., L. laeticolorus (Imai) Imaz., L. salmonicolor Heim et LeClair, L. sanguifluus Fr., L. semisanguifluus Heim et LeClair and L. thyinos Smith are carefully discussed and compared so as to find their major taxonomic characters and to clarify their taxonomic relations. The largest area of subtropical evergreen broad - leaved forests distributed naturally in southern and southwestern China play an important role in biological diversity and natural environment conservation.However, human - induced disturbances in the last several decades have destroyed most of the valued vege-tation. Diversity loss and environmental degradation have been a serious problem. It has been pressing and difficult work to restore and rehabilitate the evergreen broad - leaved forests. In China, although numerous studies dealing with the artificial rehabilitation have been carried out, the effect on conservation and restora-tion of biological diversity has been found to be ineffective due to restricted tree selection. Few studies have undertaken natural regeneration and floristic diversity restoration.